Large 2800+ sq. ft. custom home on all sports North lake! The first floor features all tile floors for easy cleaning, an oversized living room with stone gas fireplace, bar area with ice maker great for entertaining, large laundry/mudroom, kitchen with island and two peninsulas, dining room, and a first floor bedroom and bathroom. 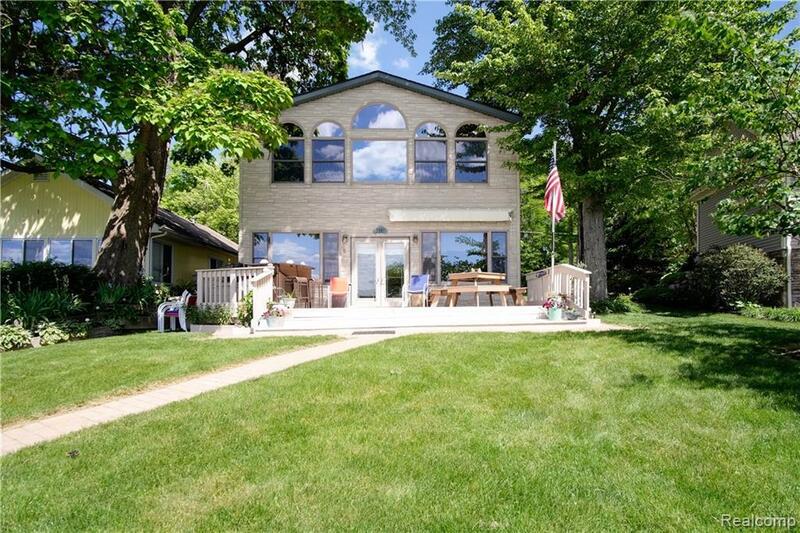 Head upstairs to find four bedrooms with high vaulted ceilings, a craft/office room, a full five piece bath with corner jetted tub, and an inviting master bedroom with double doors and wall to wall views of the lake. Other featured include no steps to the water, window seats in the living room, all new stainless steel appliances in the kitchen with double ovens, room to park four cars, a whole house sound system, sandy bottom waterfront, 3 sheds for storage, and boat dock included! Home was completely remodeled in 2004 and has it all!